I've another candy prize to give away, but before I get to that I had to do a re-draw for one of the prizes from the last give away that wasn't claimed. If you enter the give away then please, please, please check back on the evening of the draw closing so if you're a winner you can email me to claim your prize. I won't be chasing the winners down. - you were pulled out of the hat by my granddaughter. Please email me your address so I can post your prize off to you. And now to the new candy, there's a skeleton leaf die, two Marianne Design stamp sets and a Dusty Attic Chipboard set. Please leave a comment if you wish to be entered in the draw, I will draw a winner on Saturday. A pink and girly card from me today, and I hit the distress inks for colouring again too. The Fabriano watercolour paper from Noor Design makes colouring a total breeze. Love how Lemoncraft co-ordinate their papers with tags, buttons, etc so everything comes together so easily. Berries, strawberries and flowers with pearl cascade entwined. So pretty. I love these super sweet little animals from Whimsy Stamps and today I’ve used Flower Bouquet Bunny. I had a tinker with the distress inks last week, I really am rusty with them and find grabbing my copic markers so much quicker and easier to colour with. But, I’m persevering, and gave colouring this adorable little Candibean Honey Pot by LDRS a go. Congratulations to the three winners, please can you EMAIL ME with your addresses so I can post your prizes off to you. After shooting a brief video for the new Crafteezee Monthly Subscription Kit last week I decided to shoot another video as I was making up a card using the kit. It’s been quite some time since I did a video, so I back to being a beginner lol. The only things I added that weren’t in the kit are some of the flowers and the no-hole pearls, and I still have loads of stuff left for more projects. A closer look at the divine lace and organza trim. Just exquisite! I absolutely adore this kit! 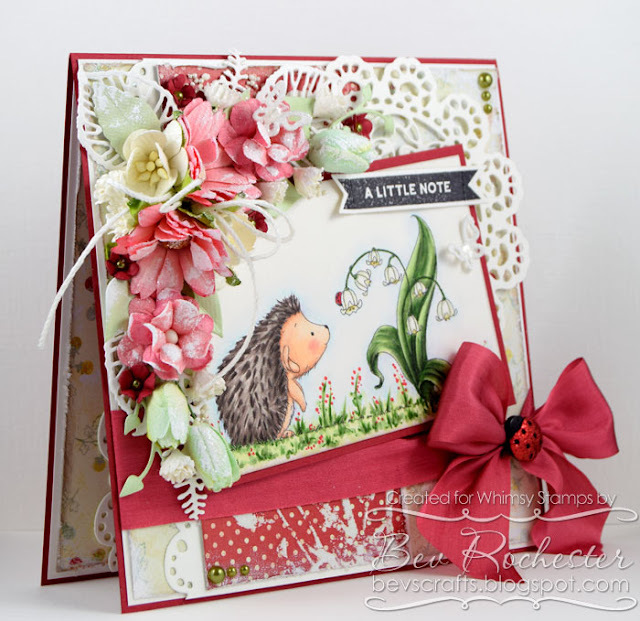 Monday saw the start of the Whimsy August 2016 Release Party over in our Whimsy Stamps and Inspirations Facebook group. The Whimsy DT will be sharing sneak peeks at the new products releasing today, so pop across and join us for games, fun, and a chance to win Whimsy prizes. 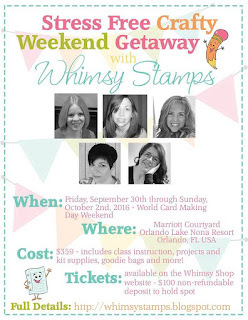 To join our release party event, just pop over to the Whimsy group any time during the week from Monday, August 8th through Friday, August 12th. 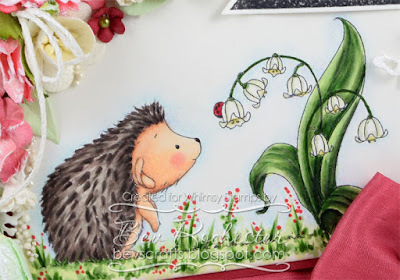 I’ve used Hedgehog with ladybug on my card today along with the super AWESOME Bold Banners sentiment stamps and matching Bold Banners dies, also available Wednesday, August 10th in the Whimsy Store.. These stamps are never going to be put away, they are going to be in constant use that’s for sure. I asked Denise a while back if she could do something like these, and man oh man did Whimsy ever exceed my expectations. They are fab-you-lass!! 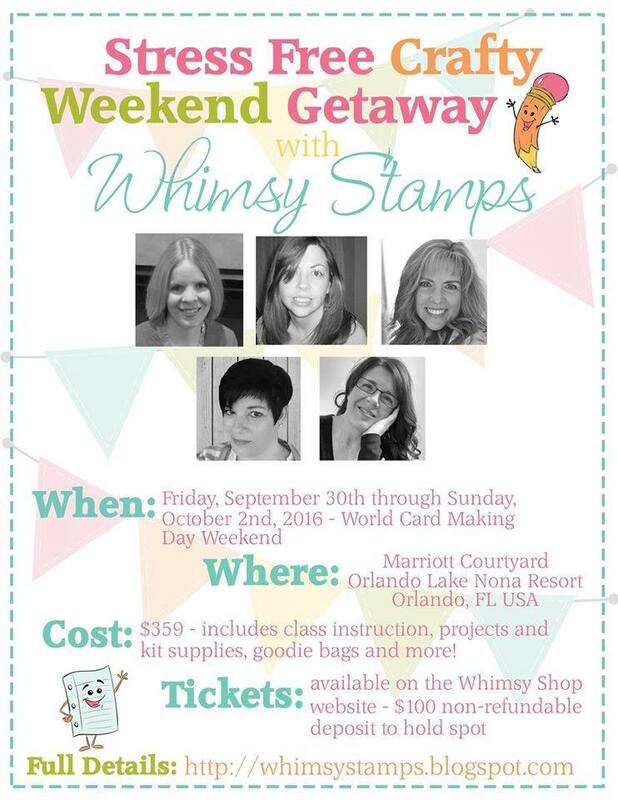 Keep checking back in the Whimsy Facebook group, there’s lots of inspiration and prizes up for grabs. A quick and easy Christmas card with handmade poinsettias today. I made the flowers uisng flock paper and added a layer of glittered paper petals for a bit of extra bling. I also die cut some glittered leaves. And what could make an easy card even easier than the gorgeous Scrapiniec chipboard shapes? I painted the bauble with white paint and glittered the top layer before adhering them together. 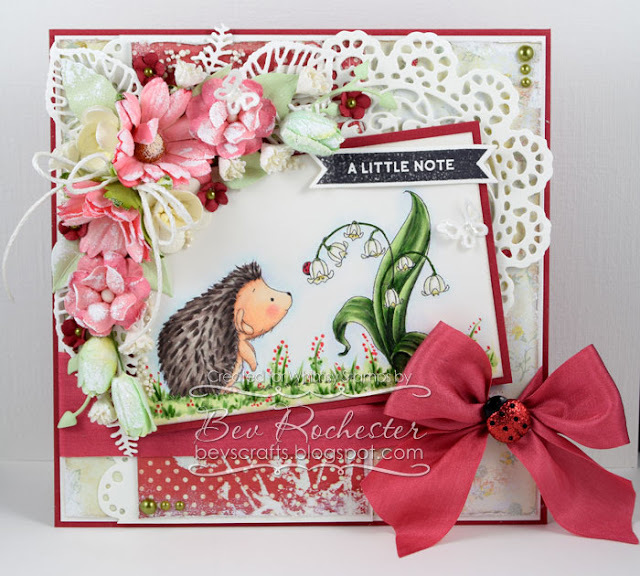 There’s a new monthly kit on offer at Noor Design, put together by Tracy …. the girl who loves all things vintage. This month it’s a Nautical themed kit and is ah-may-zing! So much so I quickly shot a video of the deliciousness inside! I think these shabby chic cards are fast becoming my favourite type of card to make, I’m in my element faffing about adding all sorts of stuff I’m unearthing in my craft room. I made the gorgeous lace butterfly from Noor Design the focal point on this one (links at the end of the post), and teamed it with a pretty floral frame and lots of PINK! 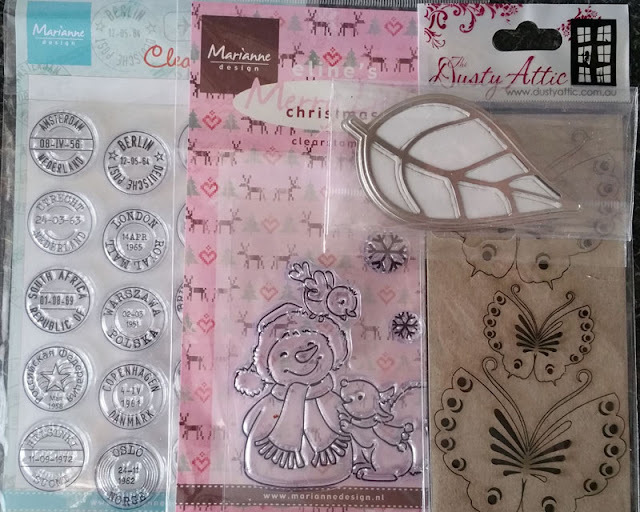 It’s a new challenge on the Noor Design Blog today and this month the theme is Christmas. I’ve had this little Giordano Snowman stamp from Joanna Sheen for a while and never got round to using it. It's my new favourite stamp! The little button is adhered to a piece of Scrapiniec chipboard that I heat embossed with Wow embossing powder. The little sparkly bells are die cut also from the poinsettia set.